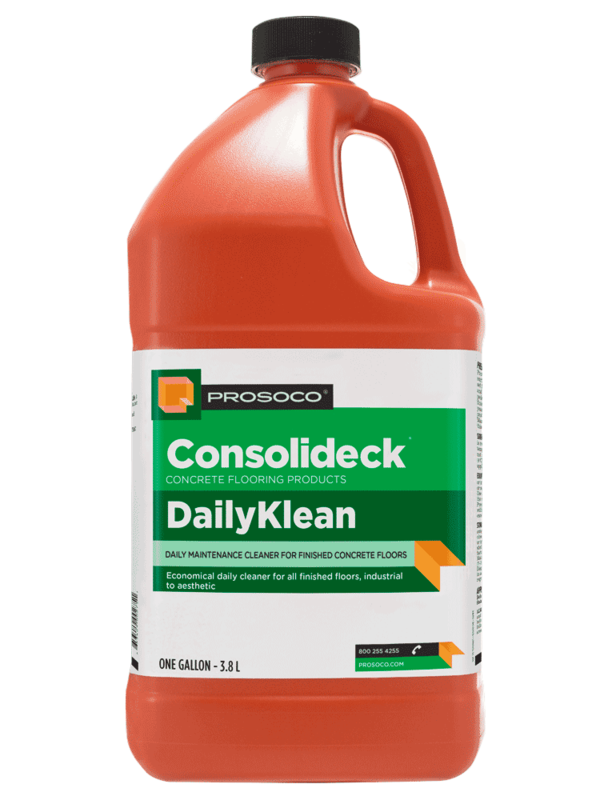 PROSOCO announces that three products from its Consolideck concrete flooring line meet the EPA’s safer product standards. DailyKlean, DailyKlean ULTRA 15 and DailyKlean ULTRA 30, phosphate-free cleaners for concrete floors, have now officially earned the EPA’s Safer Choice label. The EPA Safer Choice label means that every ingredient in the product has been reviewed by EPA scientists, is safer for people and the planet, meets EPA safer product standards and is effective. DailyKlean, DailyKlean ULTRA 15 and DailyKlean ULTRA 30 all offer more positive environmental and human health characteristics than conventional cleaners for polished concrete floors. The products contain no phosphates, hazardous solvents, environmentally harmful surfactants, fragrances or dyes. No performance characteristics of the three products have changed; the only difference that customers will notice is a change in color. Without dyes, the products will now have a colorless hazy look instead of an orange hue. PROSOCO is constantly reviewing its product ingredients to make sure they’re as safe as possible for people and the environment, according to Kevin Sigourney, manager of PROSOCO’s concrete flooring group. 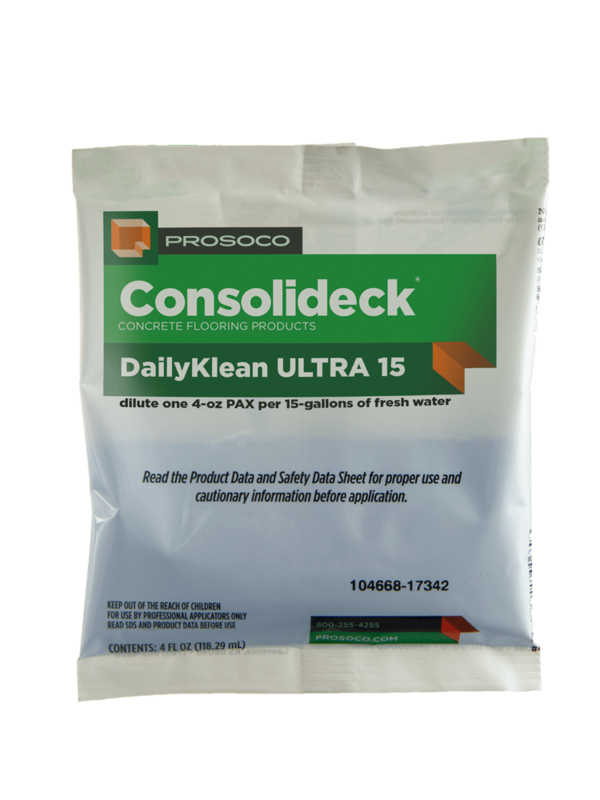 “We’re proud to have third-party proof that our DailyKlean products are effective daily cleaners for concrete floors that also have a more positive environmental profile than competitive products,” Sigourney said. economical daily maintenance cleaner concentrated for automatic floor scrubbers. Though the economical DailyKlean suite of products is specifically made for floors treated with Consolideck LS, a lithium silicate densifier and hardener, they’re ideal for nearly any concrete floor. DailyKlean ULTRA 30 is a premeasured concentrate made for 30-gallon auto-scrubbers. DailyKlean products are recommended for use as part of a comprehensive maintenance program, as they help to ensure the highest appearance and performance standards for all indoor concrete flatwork.